At Nexel Medical, our Low T specialists are sometimes contacted by men who say something along the lines of my doctor won’t treat my low testosterone levels, and they seem unsure of the reason. Either they didn’t pursue the matter with their primary care providers any further or their providers told them they would have to see a medical specialist if they wanted to pursue treatment for their testosterone deficiency. In any event, they were apparently not given any detailed reasons for their doctors declining to provide them with a Low T treatment program. When they contact us, they are often seeking reassurance as well as information. The fact that their regular physicians are unable or unwilling to prescribe treatment for an increasing common hormone disorder has caused them to wonder if there is something that they should be made aware of in regard to using doctor prescribed TRT (testosterone replacement therapy). However, it could simply be that their regular physicians don’t have specific training or experience in the treatment of hormone disorders or that they believe that their patients with Low T symptoms should first try to increase their male hormone levels through non-medical means before committing themselves to a long-term therapeutic approach for reversing this condition. The other possible explanation to my doctor won’t treat my low testosterone levels is that their doctors feel that they are not exhibiting the symptoms that are commonly associated with Low T. Many doctors believe that the use of a treatment program is not warranted unless a patient has fully developed all of the chronic symptoms that typically accompany this disorder. But because they are not TRT specialists, they might not be nearly as familiar with all of the different symptoms that can be caused by male hormone deficiency. Yet none of these possible explanations should be reasons for causing men to doubt the appropriateness of using a medically prescribed and supervised program of testosterone replacement therapy. It is a form of treatment that has been in medical use for many decades and it has proven to be both highly effective and statistically very low risk as a means for restoring a man’s Low T levels to the normal range and providing him with relief from his troublesome symptoms. Is It Safe to Use Treatment for Increasing Low Testosterone? What most men who tell us my doctor won’t treat my low testosterone really want know is whether or not it is safe for them to use male hormone replacement therapy – and that is a reasonable concern for them to have. There are members of the medical community in the US who have been debating the appropriateness of patients using TRT for almost as long as this treatment has been available. However, all of the clinical evidence that has been produced to date indicates that when the proper medical protocols are followed, Low T therapy is both effective and safe for medically qualified adult patients to use. Despite all of the supporting evidence for using TRT, some doctors still feel that not enough is known about the potential risks that its extended use could represent. Yet in over its half-century of medical use, thousands of men have used this treatment long-term without experiencing any related health complications or risks. The incidence of side effects experienced by Low T therapy users has also remained statistically very low throughout its history of medical usage. Actually, it is the illegal use and/or abuse of bio-identical testosterone treatments that accounts for the majority of adverse effects that some men experience. It is not a secret that a number of men illegally purchase and use testosterone for the purpose of bodybuilding or athletic performance enhancement. Anyone who follows professional sports has undoubtedly heard about this, and it is well known that many bodybuilders use testosterone to pump up their muscles and tone their physiques. Doctors hear about these abuses as well and it’s possible that there are instances when it’s a factor in why my doctor won’t treat my low testosterone levels. But for adult males with clinically verified male hormone deficiencies who intend to follow their TRT programs exactly as they have been prescribed for them, the safety of their treatment is not an issue. However, to achieve a successful therapeutic outcome it is important for Low T patients to have a doctor with expertise in hormone replacement therapy prescribing and supervising their programs of treatment. Where Can I Find a Qualified Low Testosterone Specialist? Knowing that there are any number of possible reasons that could explain why my doctor won’t treat my low testosterone levels can be reassuring; but what is even more reassuring for any man who requires Low T therapy is finding a qualified and experienced TRT medical specialist. And now that highly qualified specialists like Nexel Medical can be accessed online and are capable of providing this treatment locally to patients nationwide, this has become immeasurably easier for men in the US to do. 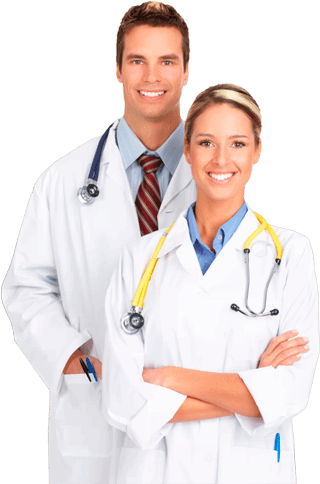 Our doctors are fully licensed and credentialed medical professionals who have chosen to specialize in the treatment of adults who have developed hormone disorders such as Low T and HGH deficiency. There are instances when our patients qualify for using both types of treatment and our doctors utilize their expertise to provide each of our patients with treatment that responds to their individual requirements. Optimal dosages are always carefully calculated; blood levels tests are always performed at the appropriate times; and supportive personal assistance is always available for every Nexel Medical hormone replacement therapy patient. Our innovative treatment process allows us to have the clinical procedures that our patients require performed right in their local areas while our doctors supervise the entire process remotely. Once a diagnosis has been reached and a treatment program has been prescribed, our patients have the convenience of being able to order their testosterone treatments through our US licensed online pharmacy. We have made our process into a secure, convenient and reassuring one so that our patients will benefit from the professional of our doctors in every aspect of their successful Low T treatment.